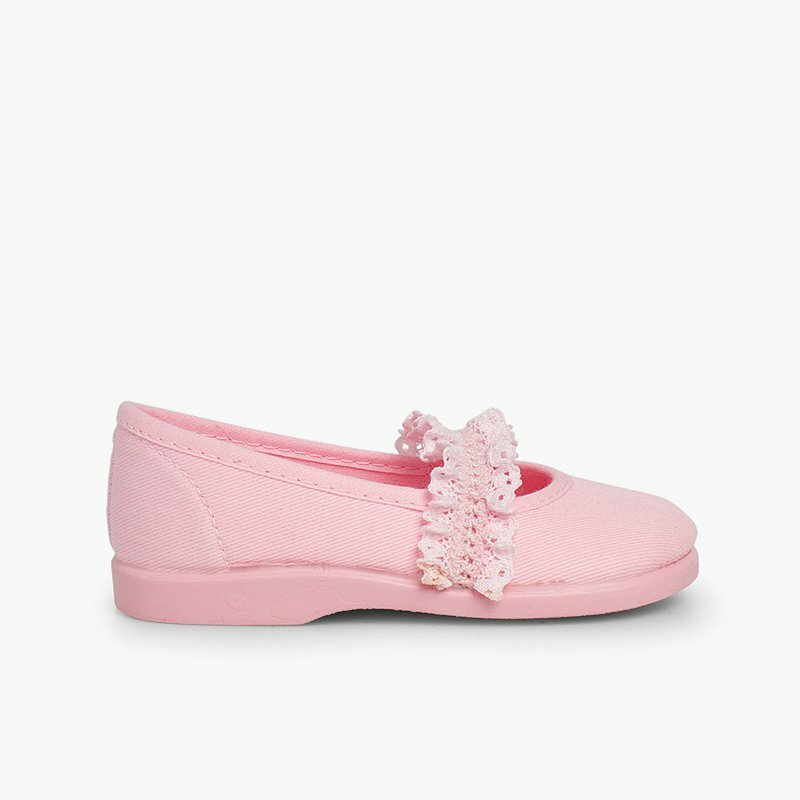 Are you unsure about which shoes to choose for your little girl during spring and summer? Well here's an option that you'll love! 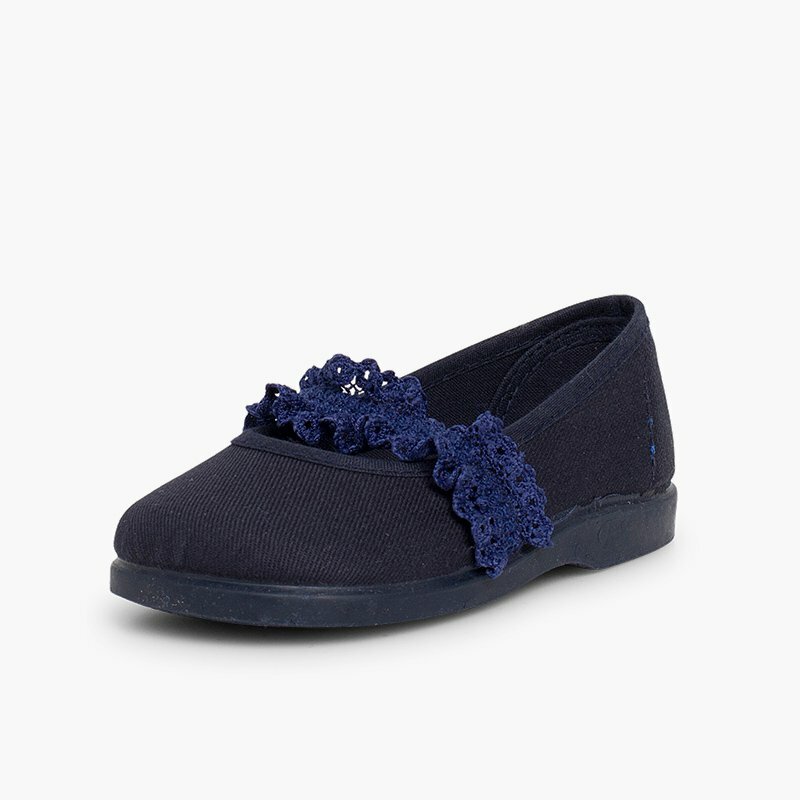 Girls' Mary Janes with an elasticated lace strap; comfortable, beautiful and super cute! 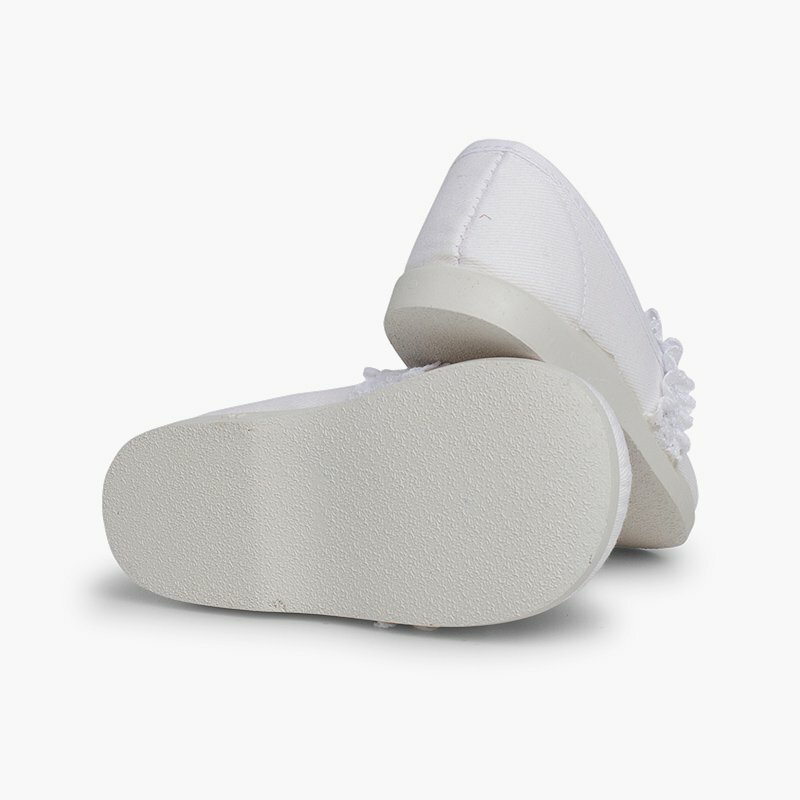 Your daughter will look perfect in them thanks to their gorgeous design, and you'll be calm in the knowledge that she has the best quality on her feet! 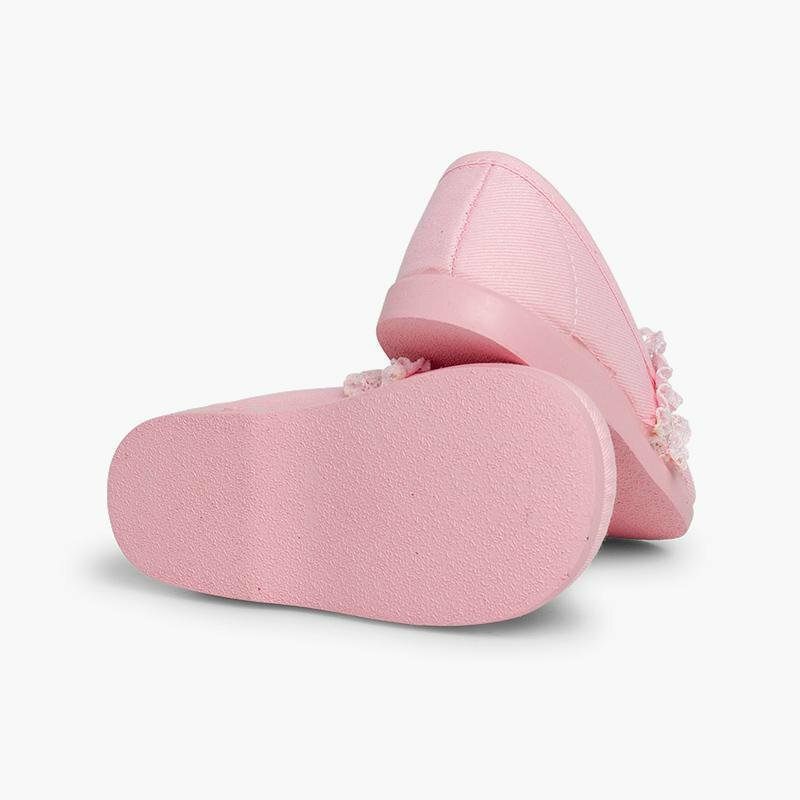 This model is made of canvas, so as well as being cool and breathable they are also very soft, and they keep your little one's delicate feet dry and protected all day long! 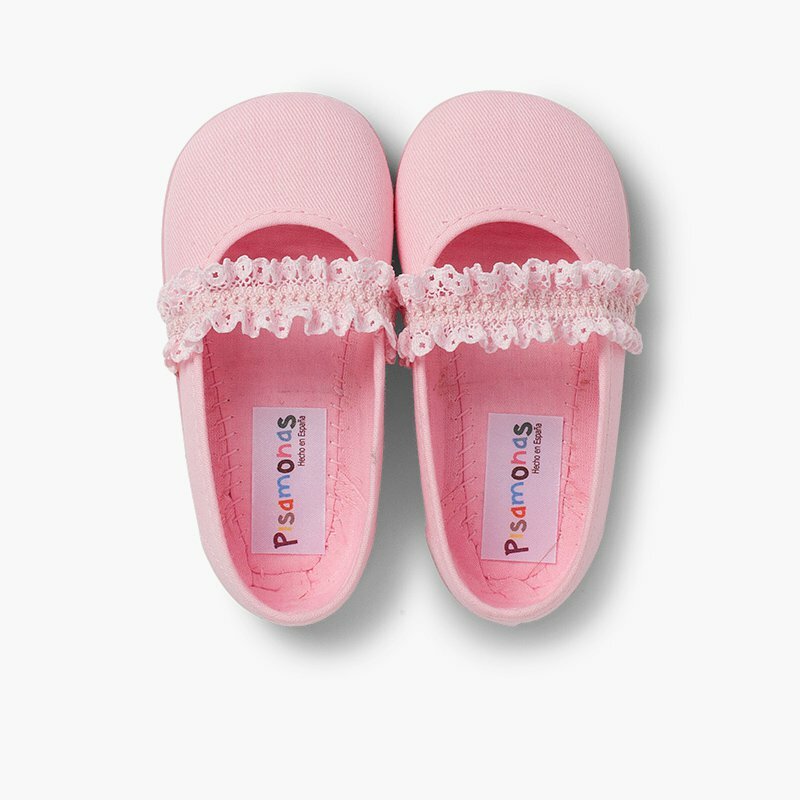 These girls' Mary Janes also have a fun elasticated lace strap, which adds an original decorative touch and holds the shoe on the foot without pinching! 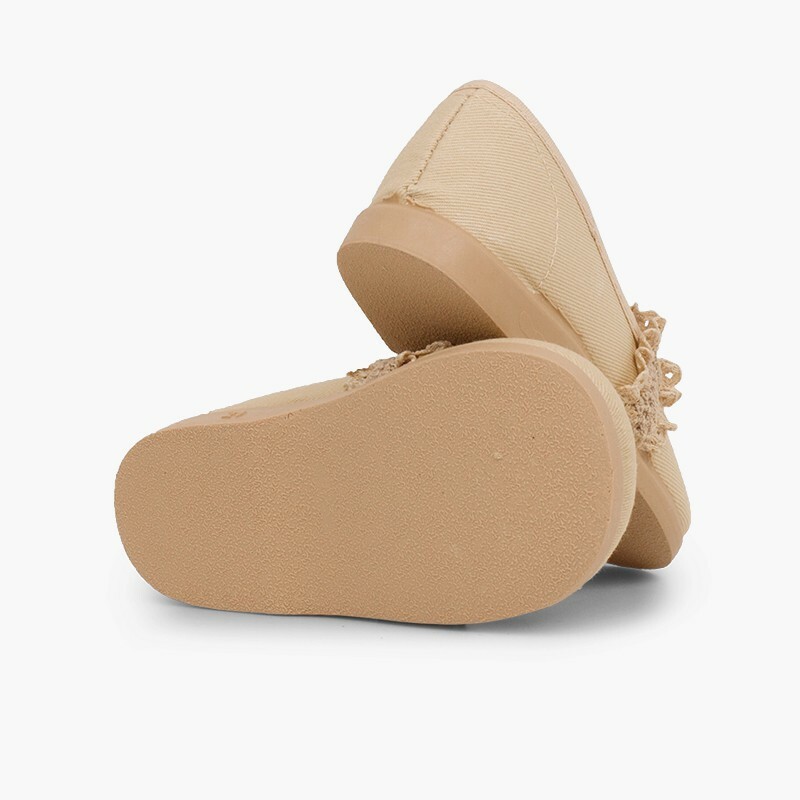 The last of this model is perfectly suited to somewhat wider feet or feet with higher arches, so they fit a little larger than normal. We recommend that you take your usual size, but if you are between sizes, take the smaller one. Available in sand, navy blue, white and pink. 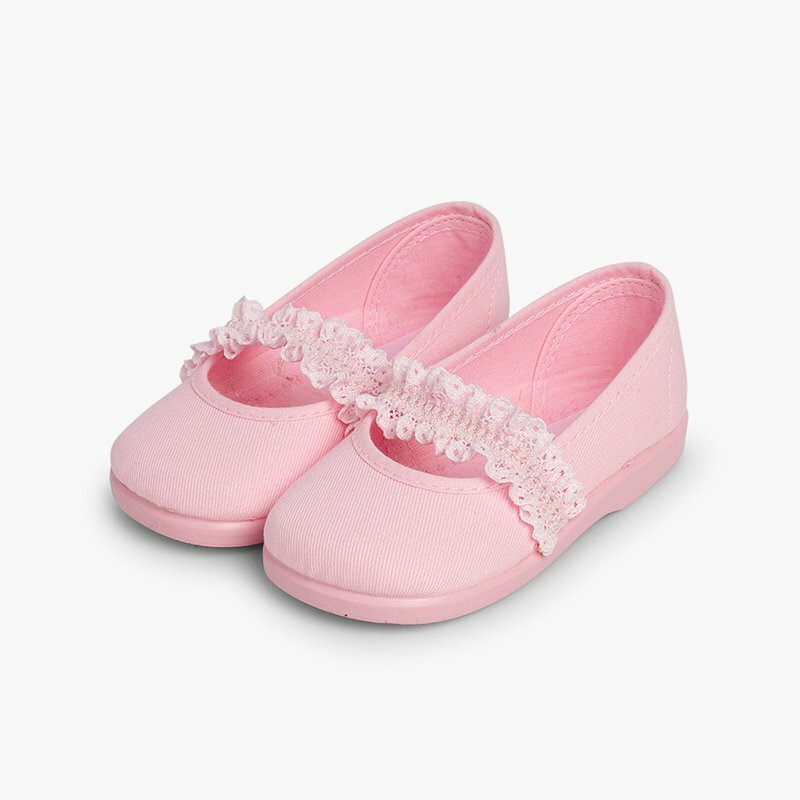 They can be worn from approximately one year old until the age of about three, with a size range of 18 to 26. And if you choose the wrong size or wish to change the colour? No problem! At Pisamonas all the shipping, exchanges and returns are completely free! 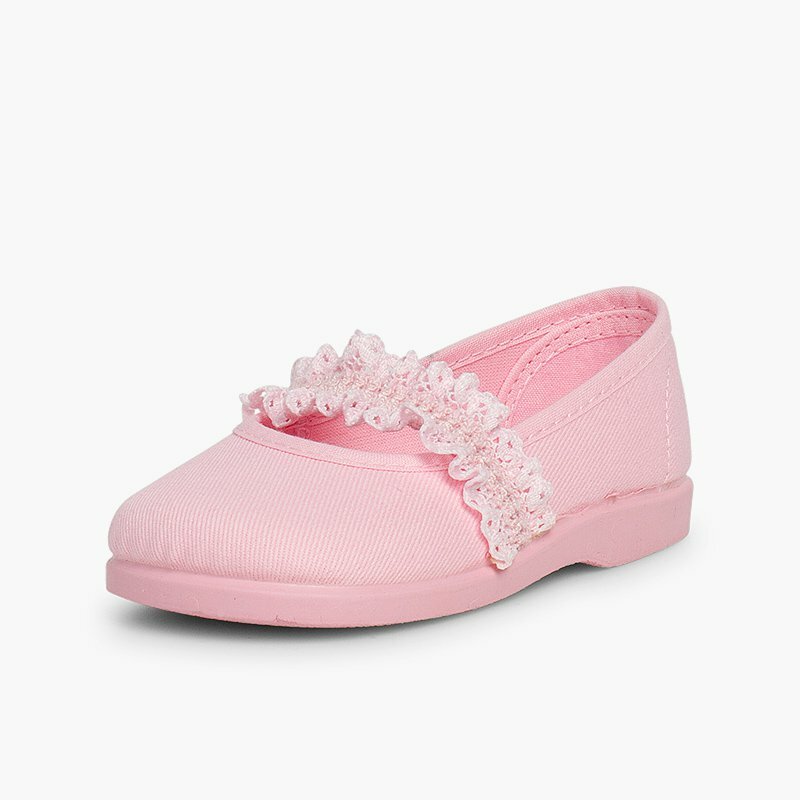 To hold the Mary Janes on their feet in the cutest way! And second and third! 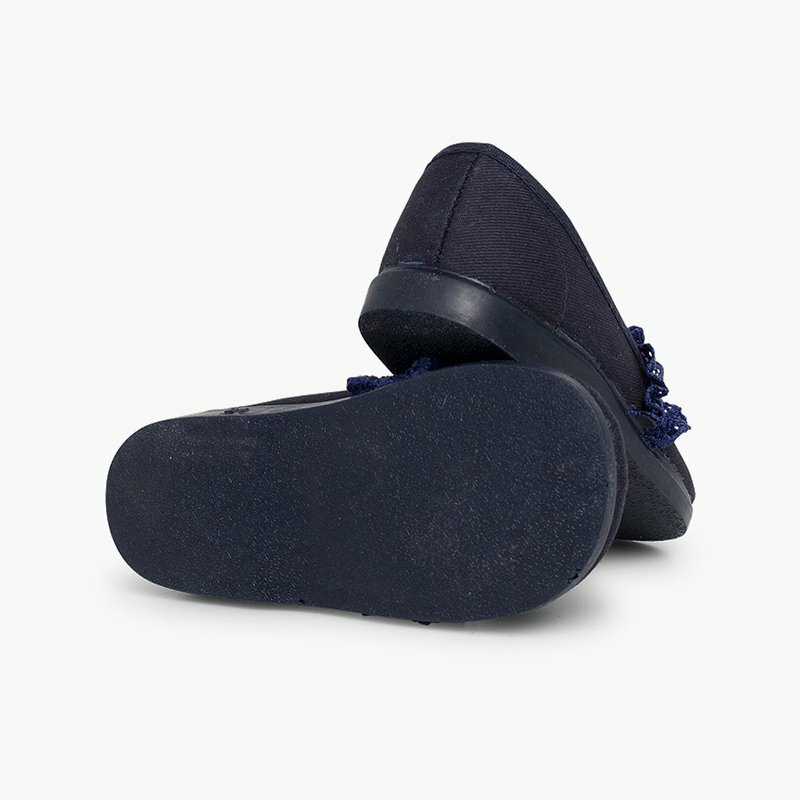 With a range of sizes from 2C up to 8.5C, your kids will first walk, then jog and then even run in these Mary Janes!